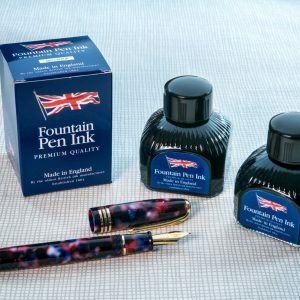 The price displayed above excludes UK/EU VAT. 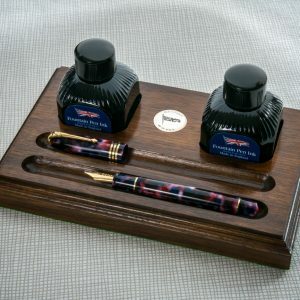 This will be added to your bill at checkout if you select delivery within the EU. 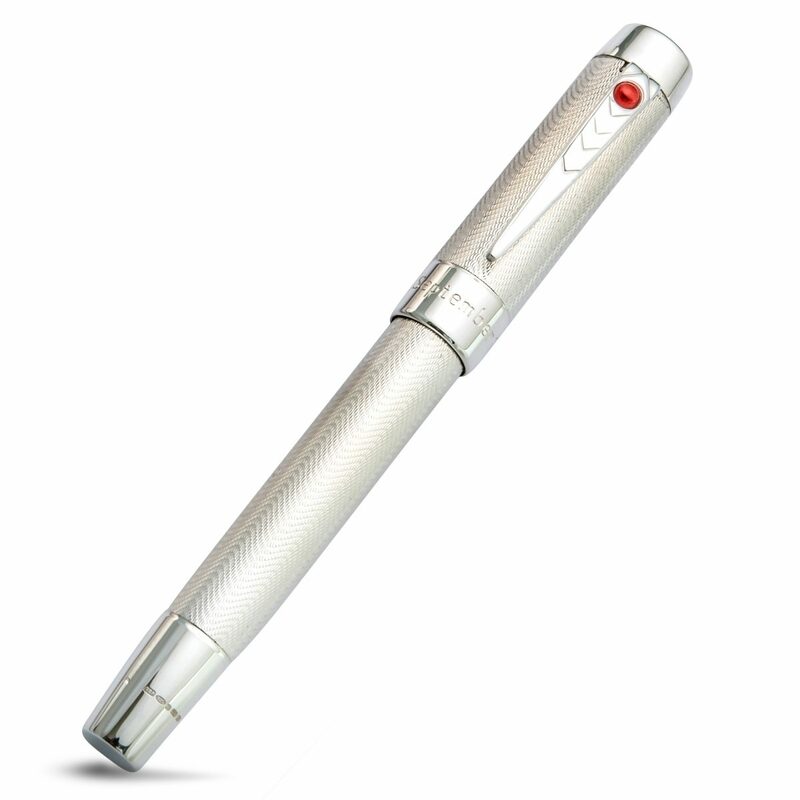 Prices including VAT are from £834 for 2 pens. 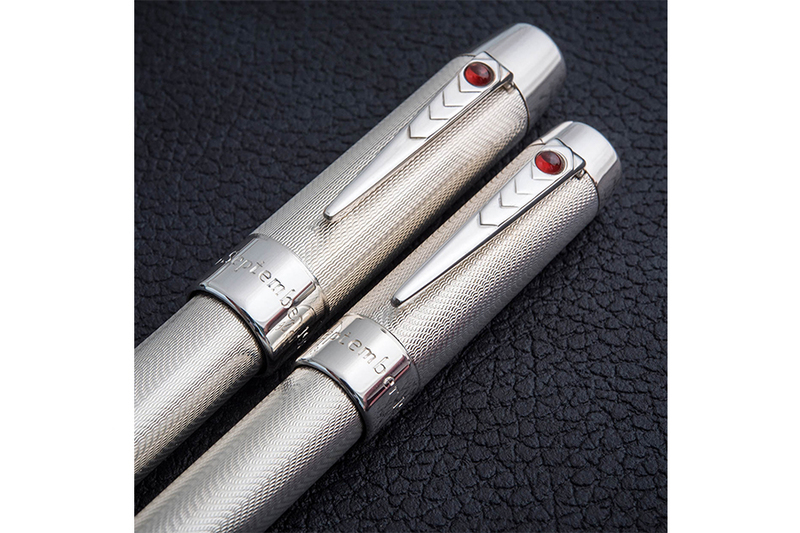 Use these luxury pens in your photographs when signing the marriage register, then use them everyday for the rest of your lives together. 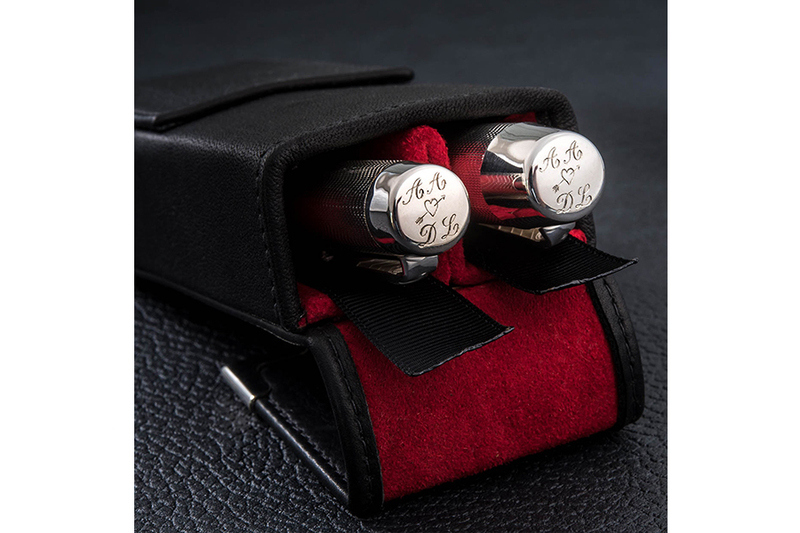 The perfect reminder of that special day. 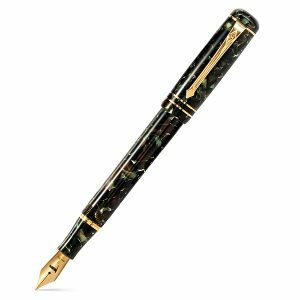 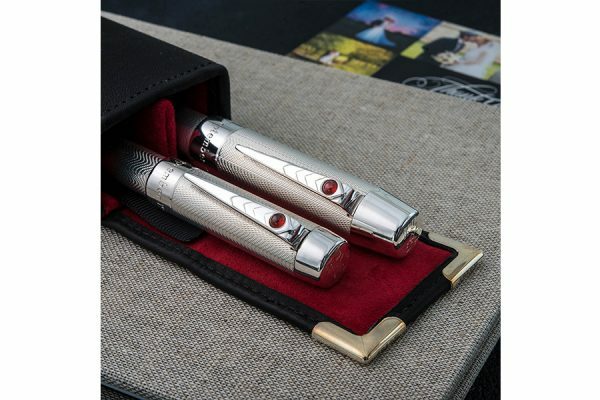 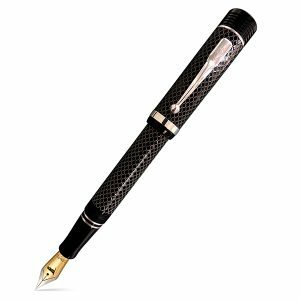 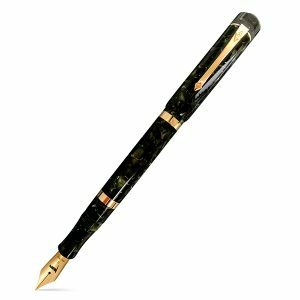 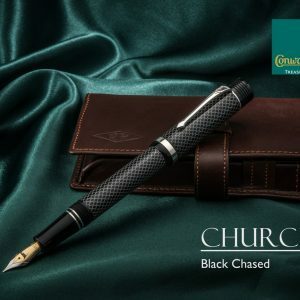 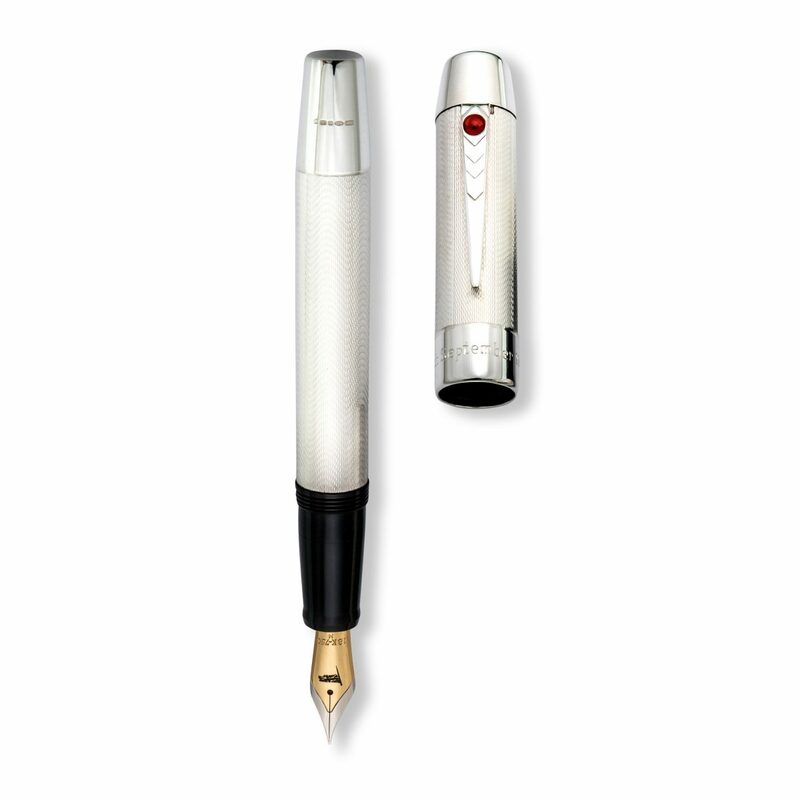 You can use the fountain pen to sign the actual marriage register using registrar’s iron gall ink – we can supply this special ink. 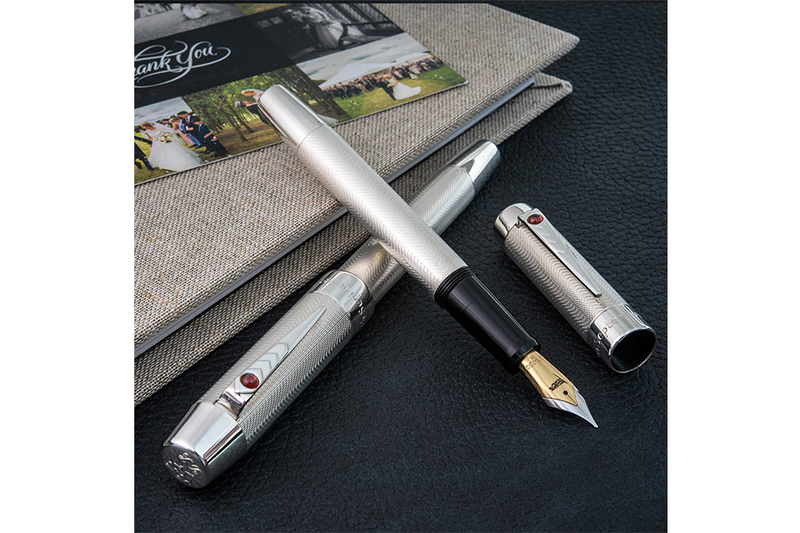 The Wedding Pen is available as a Fountain Pen with a choice of Fine, Medium or Broad 2-tone 18ct gold Flag nibs or a Rollerball with a choice of blue or black ink. 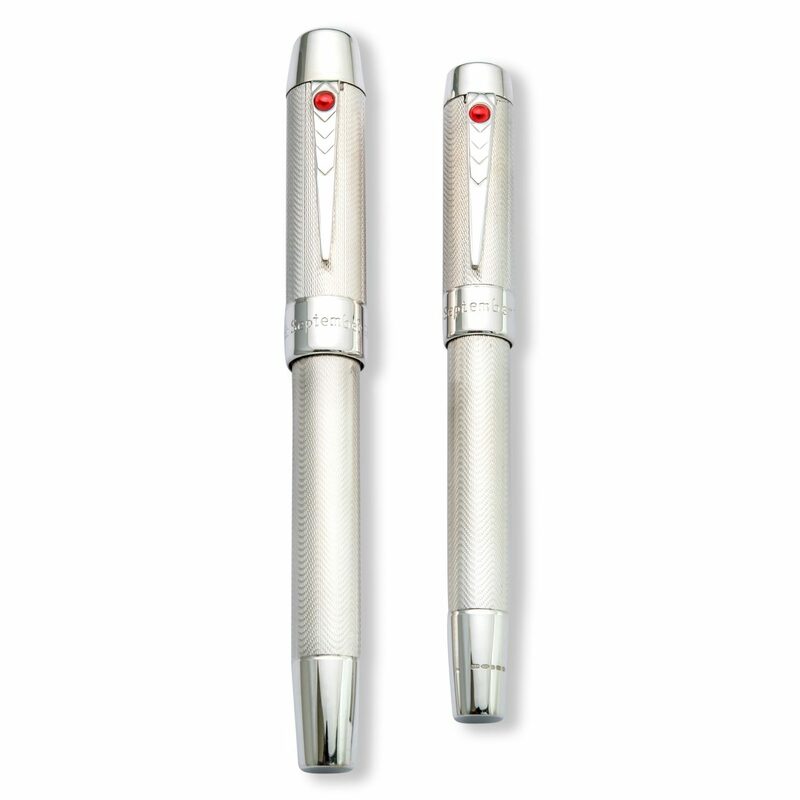 Each Bespoke British Wedding Pen has a dual filling system. 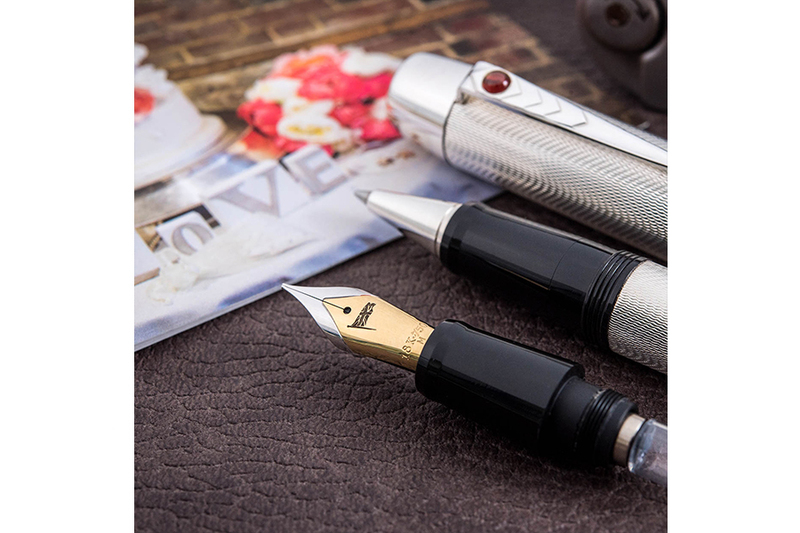 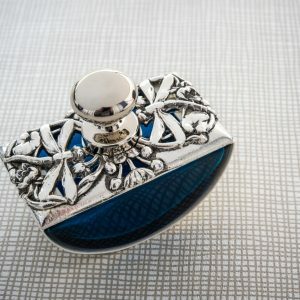 It is fitted with a converter (reservoir) which allows you to draw ink from a bottle or alternatively, you may remove the converter and use standard European ink cartridges. 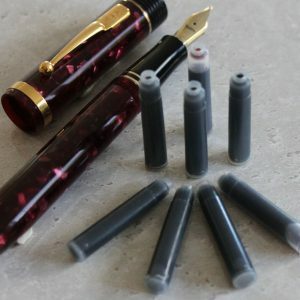 We will include 2 cartridges with your pen so you can start to use it immediately. 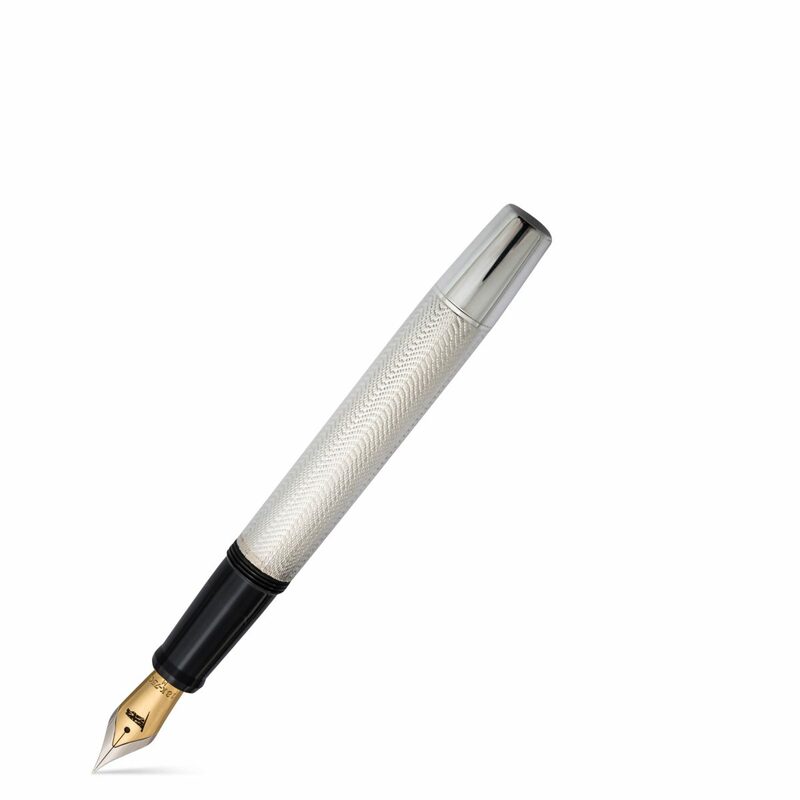 The Bespoke British Wedding Pen is fitted with one of our Flag semi-flexible 18ct gold nibs. 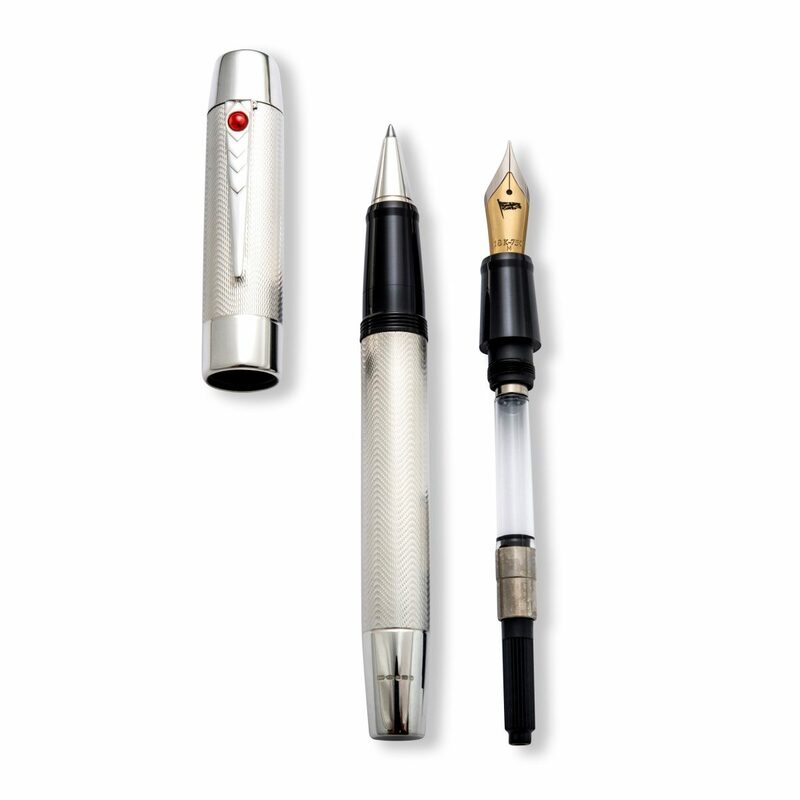 You have a choice of Fine, Medium or Broad nibs to suit your writing style. 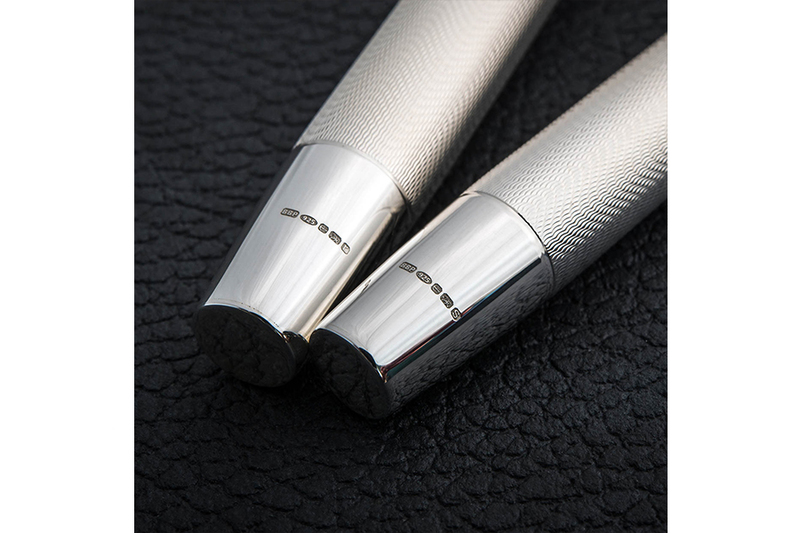 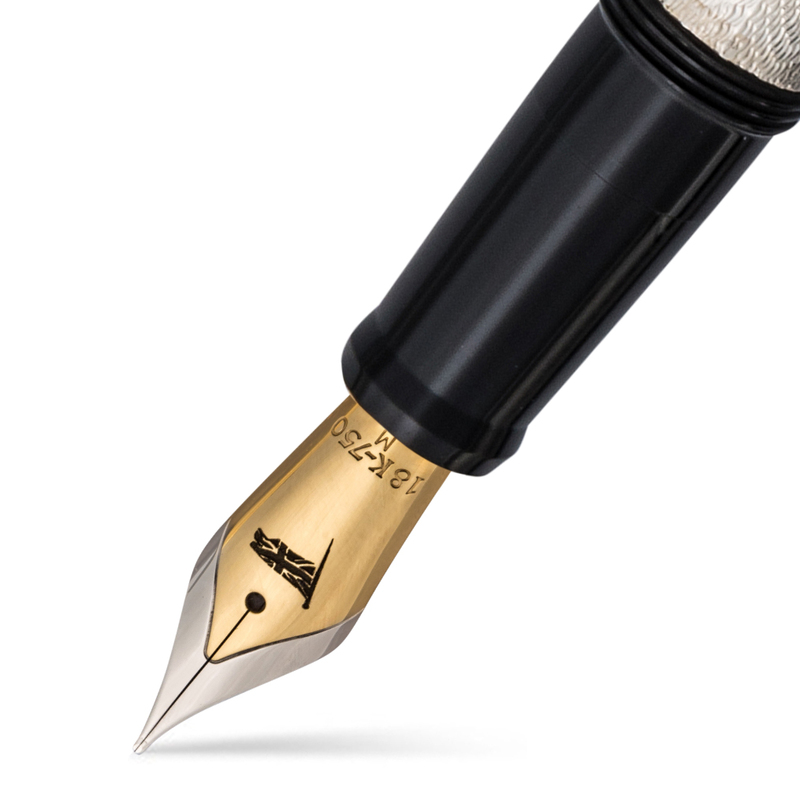 Each nib is engraved with our distinctive Flag logo.